About eight people were escorted to higher land on boats to escape low-level flooding in Old Town Alexandria. 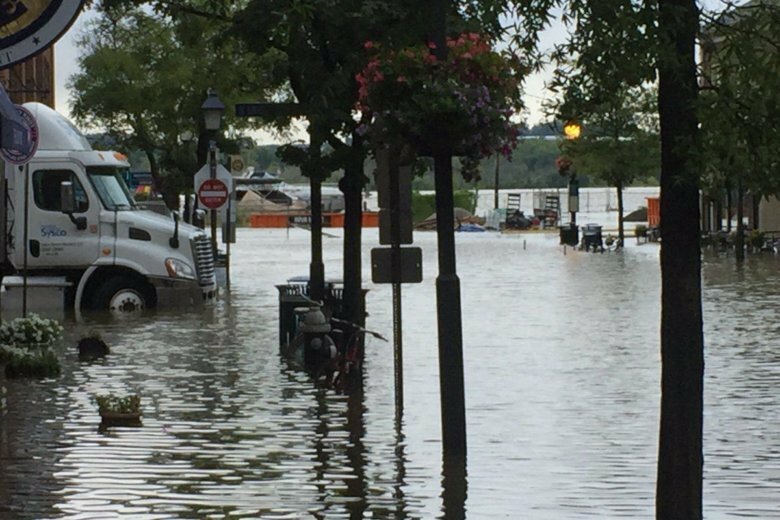 ALEXANDRIA, Va. (AP) — About eight people were escorted to higher land on boats to escape low-level flooding in Old Town Alexandria. Alexandria Fire Department spokeswoman Raytevia Evans said the assistance did not amount to a rescue; the water Sunday night was only about calf high, but the boats were put into use since they had already been deployed as a precaution. Flood levels crept a little higher Monday morning during high tide for the Potomac River. The business district in Old Town is notorious for flooding. The city is passing out sandbags to residents as they deal with a coastal flood warning issued by the National Weather Service as well as the expected arrival of Hurricane Florence later in the week.